Display of characters is one of the important and widely applied display mode in display design. 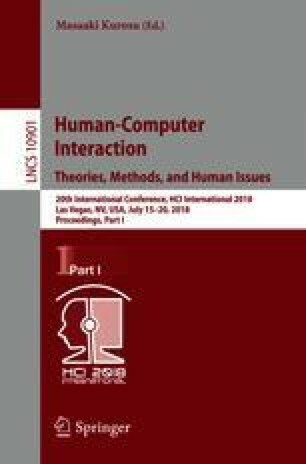 This study mainly aims to examine the impact of different sizes of characters on visual search under simulated vibration and real running vehicle vibration through the performance of visual search and ratings of subjective difficulties. To complete the visual search task of the target words, the study aims to analyze the accuracy of the visual search, the reaction time and the grading results of the search difficulties. The experimental results show that with the increase of the size of characters under vibration, the visual search performance will improve, and the rating of participants’ subjective difficulties will reduce. Especially when the size is 20 pt, the search performance and subjective evaluation will be dropped significantly. The result of this study provides an advice for the design of the display of the characters that the character size should be greater than 20 pt under vibration. This research was supported by Experimental Technique Youth Fund Project (SYFD1400618) and Manned space advance research project (030602).